Those of you who know me from Instagram and Facebook, would already know about my Harry Potter obsession (is obsession the right word though?). 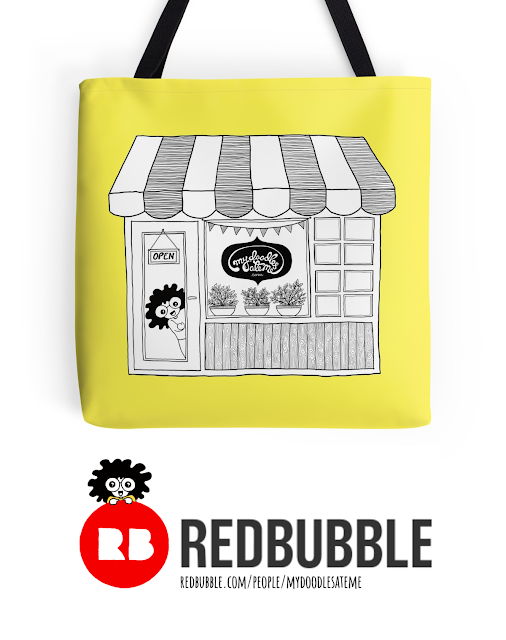 I couldn't stop smiling for an hour straight when I got a chance to collaborate with Mischief Managed, a small etsy store by the lovely Rebecca Blok, based in Heerlen, Netherlands. 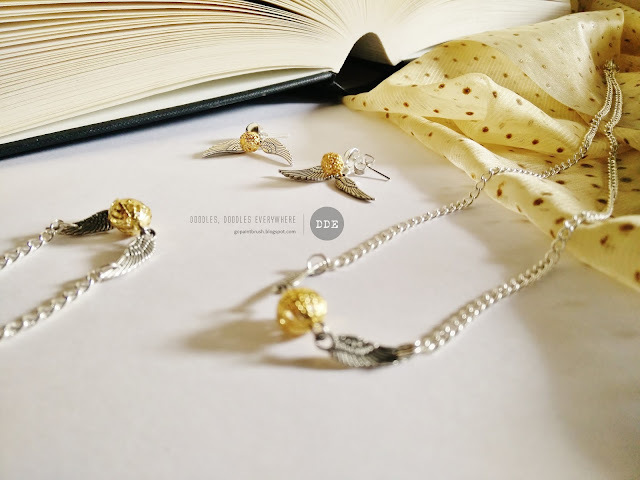 If you love 'Handmade' and 'Harry Potter', I would recommend you to take a look at all the fandom inspired jewelry and accessories up on the store. There's Supernatural stuff in there too! Eeeeep! I got this Harry Potter 'Snitch' Set and fell in love with it the moment I opened the fancy, glittery pouch (see the first picture above). Just look at it. It's the snitch! 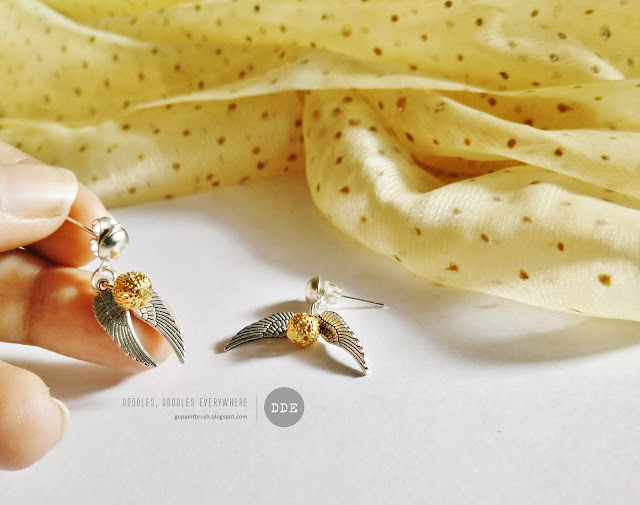 As for the material, the beads are lead free gold plated alloy and the wings and chain are silver plated alloy (as described on the etsy shop). 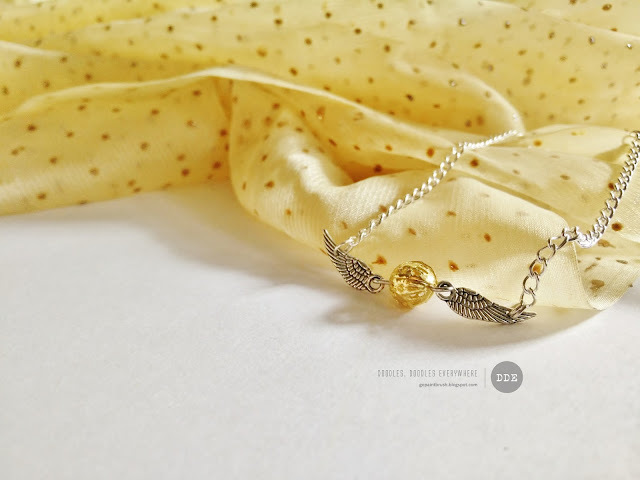 The chain length is customizable for both the bracelet and the necklace. Although it's hard to pick just one (not that I have to), but the pair of earrings is my favorite piece of jewelry in this set. See how I've worn these in my latest outfit post. 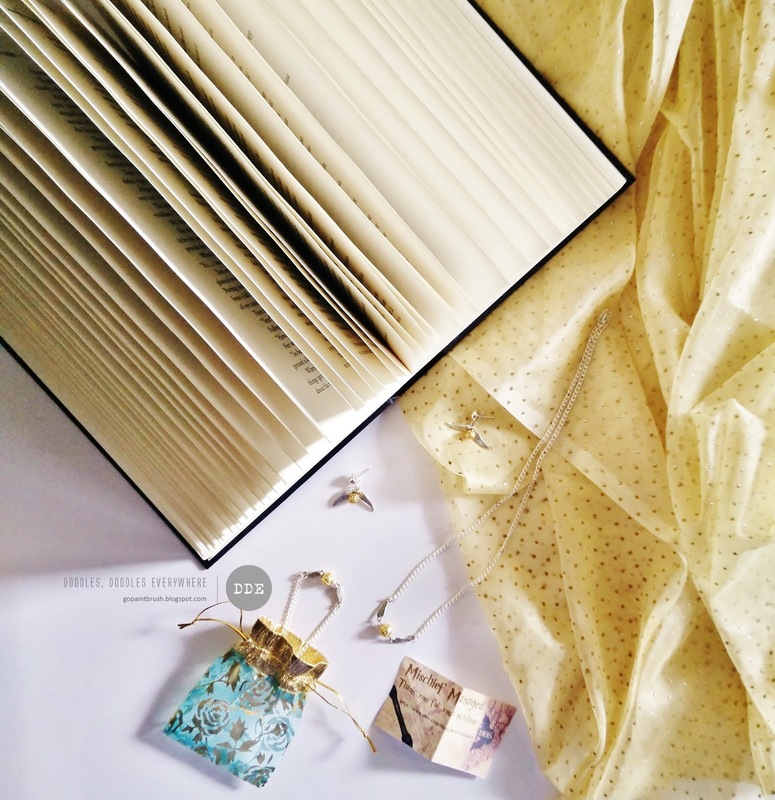 DDE readers, get 10% off (valid till January 31st 2016 only)! What do you think? Are you a Harry Potter fan too? Do tell me your thoughts in the comments down below. Follow me on Instagram for exclusive sneak peeks and updates! 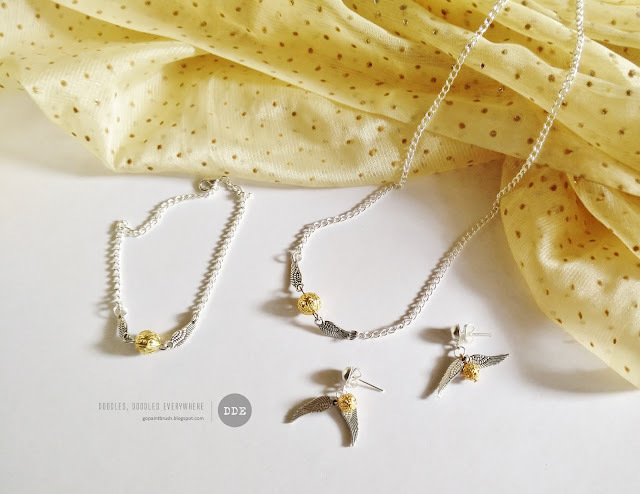 I like them, but I can only see myself wearing the necklace.